Op.Costs and Taxes reduced for 2019. Landmark location. 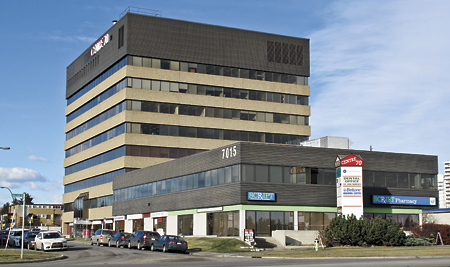 Short walk to Chinook Centre and many other amenities in the immediate area. Ample tenant parking and designated visitor parking stalls. Chinook LRT station and numerous bus stops within short walking distance. City and mountain views available. Very efficient floorplate with high ratio of windows to office space. New boardroom facility for tenant use. Signage available. Medical and other professional services available in the building.